Virtualization is successful method for creating lab and testing tool in recent years. Hyper-v enables Windows administrator to create virtual machine (VM). Virtual machines run in their own isolated environment. VMs are self-contained units that can easily be moved from one physical computer to another physical computer. At the time of creating virtual machine, the hardware is abstracted and multiple virtualized hardware environments are created. On the virtual environment you can run a complete copy of operating system (OS) separately. 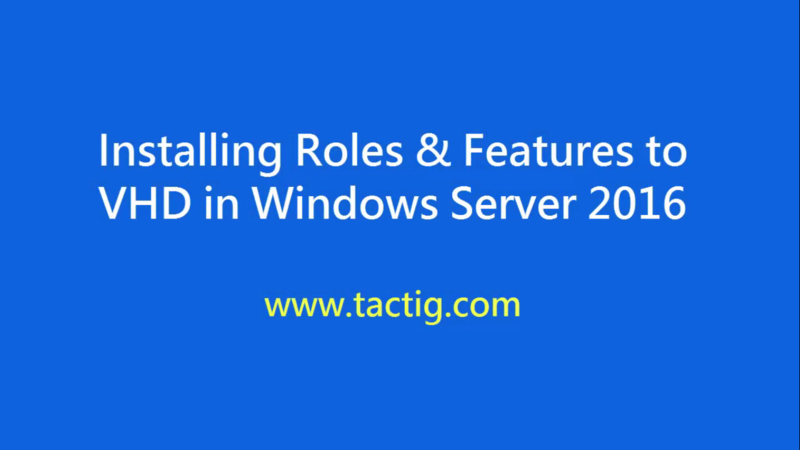 As a result of enabling Hyper-v and sufficient hardware configurations you can run many operating systems on physical computer. Finally, you can manage virtual machines as standalone computers. You create network card which works as a physical connection. The computers which use the same network cards are placed in the same network. You have complete authority on a virtual machine (VM). You can delete, stop and turn on, off and restart a virtual machine. VMs have their own storage. When you create a virtual machine, virtual hard drive (VHD) is created for each machine. You can add many of them for each machine. Your physical hard drive is virtually divided to many other hard drives. The same as your physical hard disk you may have many hard drives with the same functionality. It is called virtual hard drive (VHD) which is saved by .vhd extension. Logically your VHDs seems like physical drive but all files stored on each VHD, in fact stored on one physical hard drive. One of the useful tools in Hyper-v is Checkpoint. While you want you easily create a checkpoint. It is the screenshot of your machine state. When you want, you can run the checkpoint and you are taken to the state you had created the checkpoint. It is a good tool and makes your life easy. In addition your time won’t be wasted especially when you are testing some thing. The term host computer is used for the computer that hosting the Hyperr-v. Let’s go and enable Hyper-v on Windows 10. To enable Hyper-v, these requirements are necessary, but not all hardware requirements that the host computer should have. There are many more requirements that I don’t mention here. Minimum of 4GB RAM. Virtual machines share their memory with the host computer. You need to provide enough memory to handle the workload. All editions of Windows 10 can’t support Hyper-v. Therefore, appropriate edition of operating system needs to be installed on host computer. Here is the list of Windows editions that can or can’t support the Hyper-v. It is really easy to enable Hyper-v on Windows 10. Also make sure that you have logged in with an account with administrative privileges. Otherwise you won’t be able to do upcoming tasks. 1. Open Control Panel. You can open Control Panel in many ways. 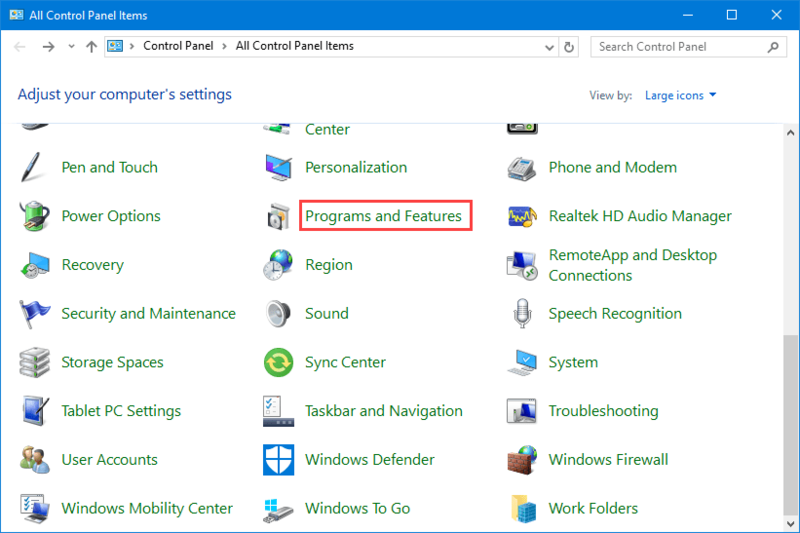 Search for Control Panel in search box in Start menu. While found, click on to open it. 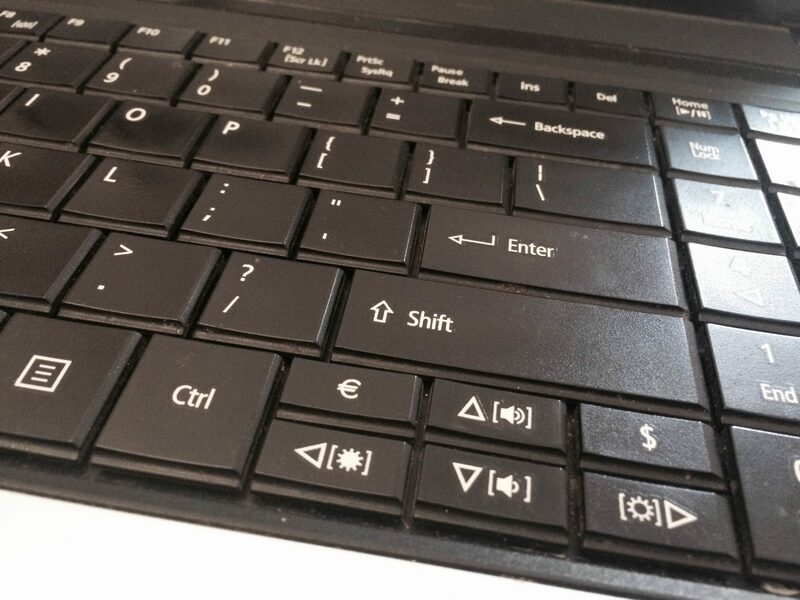 If you like, keep pressing the Start menu button then press the R button: start+R. 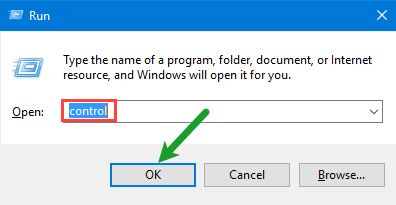 When run is opened type control and click on the OK button. 2. Scroll down and find Programs and Features. Click on Programs and features. 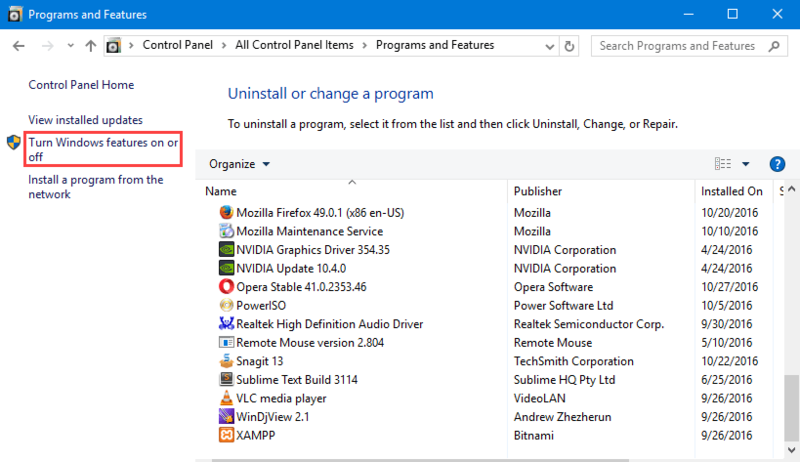 Here is the place you can uninstall the applications and features you don’t want. Of course, if you want to add a feature you are at the right place. 3. In the left pane you see Turn Windows features on or off option. 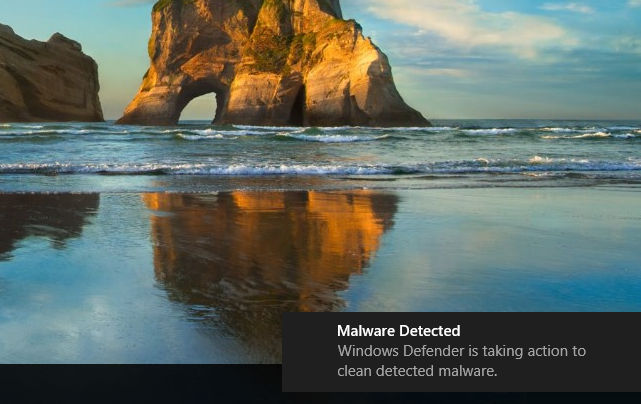 Click on that and Windows Features page will be opened for you. 4. You see the Hyper-v with a vacant box next to it. 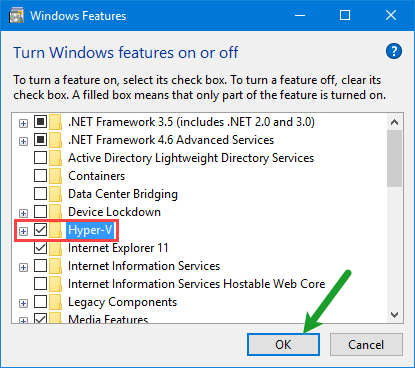 Put a check mark in the box and click on Ok button to turn on the feature on host computer. 5. Be patient for a while. 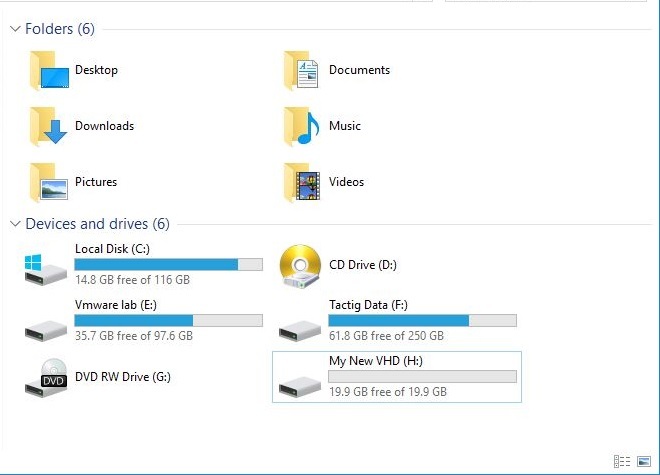 Windows searches for some files needed due to enable the Hyper-v on Windows. 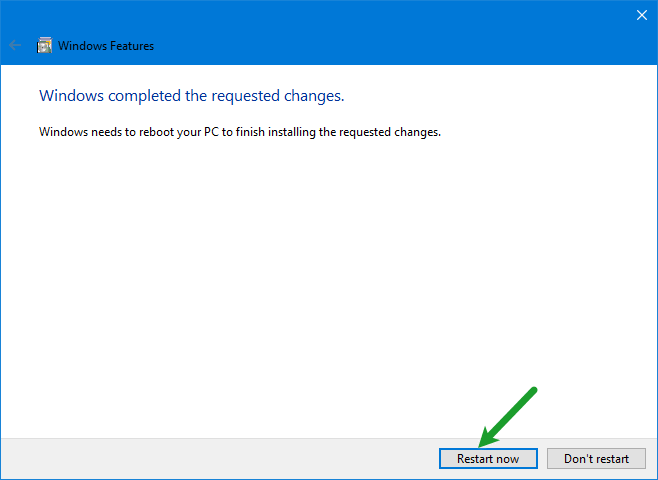 Finally Windows wants you to restart your computer. Click on Restart now button due to reboot your machine. 1. 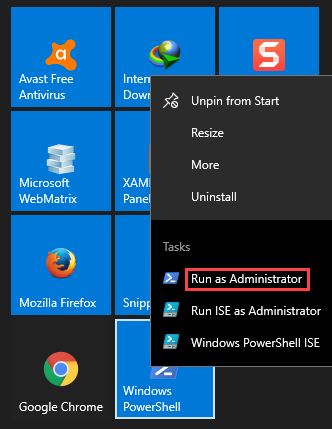 Search for the PowerShell in Start menu. 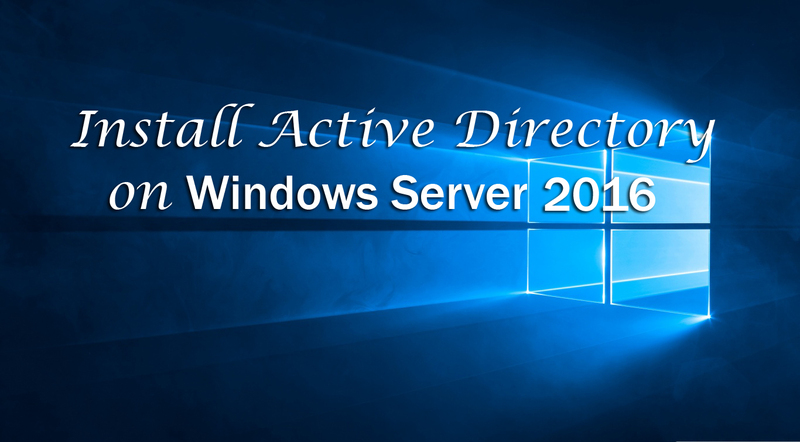 While found, right-click on the PowerShell and run it as an administrator because you need PowerShell with administrative privileges for turning on the feature. So, press the Enter button to run the command. 3. Finally you need to reboot your computer. If you like you can type Y which the contracted form of Yes, as shown below. If you want to restart your computer in other way you can do so. 1. Log in to your computer. In the Start menu search for Hyper-v typing the word Hyper-v. Because of the easy access pin the Hyper-v in Start by right-clicking on it. Then select the Pin to start option. After that while you press the Start menu button you can see the Hyper-v there. 2. At the end you can see the Hyper-v manager. No virtual machine is created. In the left pane below the Hyper-v manager you see Client03 which is the host computer’s name. When you create VMs, they will be listed below my computer’s name. Consequently we are done. Finally Hyper-v enabled on the computer. 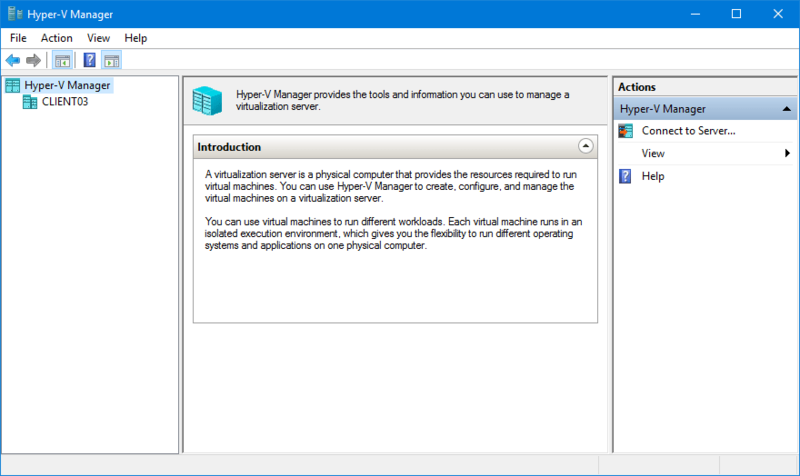 Also you can create virtual machines on Hyper-v. Excellent Dear Mehdi It’s was a helpful and thoughtful article.